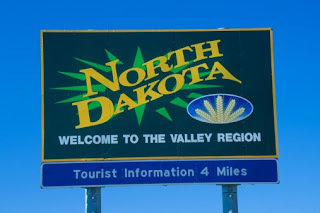 North Dakota Preps • View topic - option? While I have yet to discover a way to view all posts since your last visit, it is represented in a way by a green downward pointing arrow next to a topic title. This will take you to the new posts since you last read the thread. This is explain in the help section. I think I've seen that option on the Invision Power Boards, they are nice boards but you usually pay extra for them. Someday I could transfer it all over, but I would have to find a new server. While looking for a board/hosting plan this one was packaged reasonably with 40GB of bandwidth each month, so that was my biggest decision, plus I had a 30day free trial to mess around with it. Customer service is also second to none with these guys, which is great. Newer versions come out ever so often and it could be added in the future, if you want to read more click on the wowbb.1.65 on the bottom. For now the best I can do is say use the recent tabs and select tabs on the top, I know it's not as easy but usually what I do to review all the areas. I could change it to give a "time since posted" look, but it doesn't look as nice, and instead I have been using a "time of post" reading. I'd say read through the help section and see if that gives you any better options. Thanks.